A lecturer at the University of Texas at Austin warns that the confirmation of Brett Kavanaugh to the Supreme Court could have an adverse affect on affirmative action, even though the recently minted justice has never ruled on an affirmative action case. Are Foreign Students Gaming Affirmative Action? 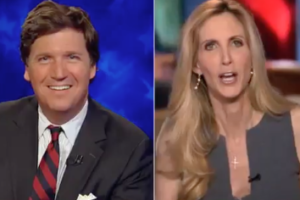 That’s the hypothesis of Fox News host Tucker Carlson and it’s worth investigating. Jay Bergman, an historian at Central Connecticut State University (CCSU), recently examined the 823-page affirmative action plan at CCSU and found it wanting, to say the least. Affirmative action policies hurt minority applicants, a law professor said, because it creates mismatches in education level. The Department of Justice confirmed that they were investigating Harvard University of their affirmative action practices. The Trump administration will take a look at Harvard University’s affirmative action policies, which university is facing a lawsuit from Asian Americans over the implementation of said policies. 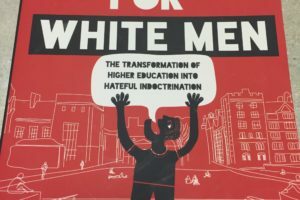 In his latest book, No Campus for White Men, author Scott Greer dives into the Left’s continued war on free speech, common sense and the Caucasian male.